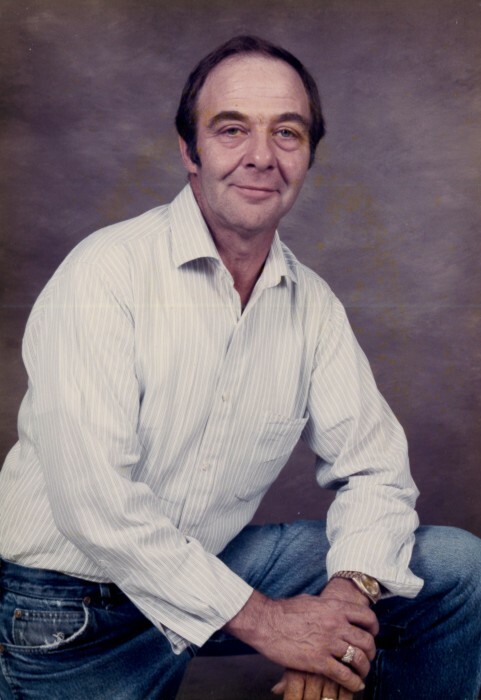 Bobby Eural Jackson, age 78, resident of the Hickory Withe Community and husband of Doris Sayles Jackson, departed this life Wednesday evening, January 30, 2019 at his residence. Funeral Services with Military Honors for Mr. Jackson were held at 1 P.M. Saturday, February 2, 2019 at the Peebles West Funeral Chapel at Oakland with Rev. Debbie Smith officiating. Interment followed in the Fayette County Memorial Park Cemetery on Highway 64. Arrangements were provided by Peebles Fayette County Funeral Homes & Cremation Center – West Chapel at Oakland. Bobby was born July 9, 1940 in Ripley, Tennessee, the son of James Alfred Jackson and Vergie Hutcherson Jackson. He was a graduate of Ripley High School and served his country in the United States Air Force. He was married July 22, 1980 to the former Doris Sayles and was employed as a salesman for Wonder Bread Company for 42 years before his retirement. Bobby was most recently a resident of the Hickory Withe Community in Fayette County and was a member of Frayser Assembly of God. He loved special times he had with his family, growing his tomatoes and gardening. He could be seen many days selling watermelons, cantaloupe, pumpkins and Christmas trees throughout the area and was the top salesman of Wonder Bread for 20 years in a row. Mr. Jackson is survived by his wife of 38 years, Doris Sayles Jackson of Hickory Withe, TN; three daughters, Bobbie Jean Prestridge of Ripley, TN, Patsy Lambert of Eads, TN, Lisa Renee Jackson of Ripley, TN; two sons, Dale Muntz (Leslie) of Milan, TN, David Muntz (Linda) of Lynchburg, TN; four sisters, Linda Mavis (Rob) of Oakland, NE, Sandra Rorie (Ralph) of Ripley, TN, Brenda Hand (Mike) of Oklahoma City, OK, Lunida Holland (Lewis) of Memphis, TN; two brothers, Johnny Jackson (Rosemary) of Arlington, TN, Rickey Jackson of Ripley, TN; nine grandchildren and twelve great-grandchildren. In addition to his parents, he was preceded in death by his brother, James “Delton” Jackson. Those honored to serve as pallbearers were Dale Muntz, David Muntz, Johnny Jackson, Kevin Coach, Anthony Hubbard and Will Kivelle. The family requests that memorials be directed to the Alzheimer’s Association, 713 S. Mendenhall Road, Memphis, TN 38117 or Fayette Cares, P.O. Box 326, Somerville, TN 38068.